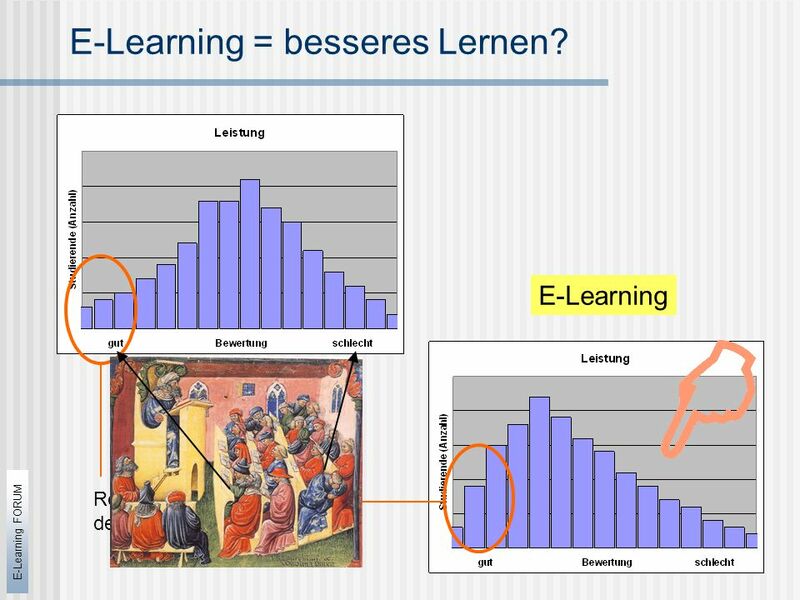 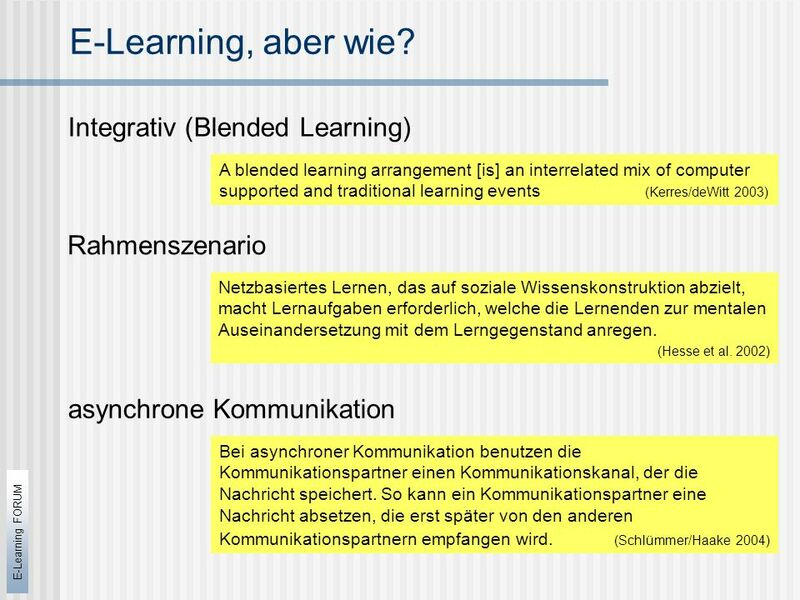 10 E-Learning FORUM Q-Market game: Beispiele I was wondering how 'less' and 'lest' are linked together? 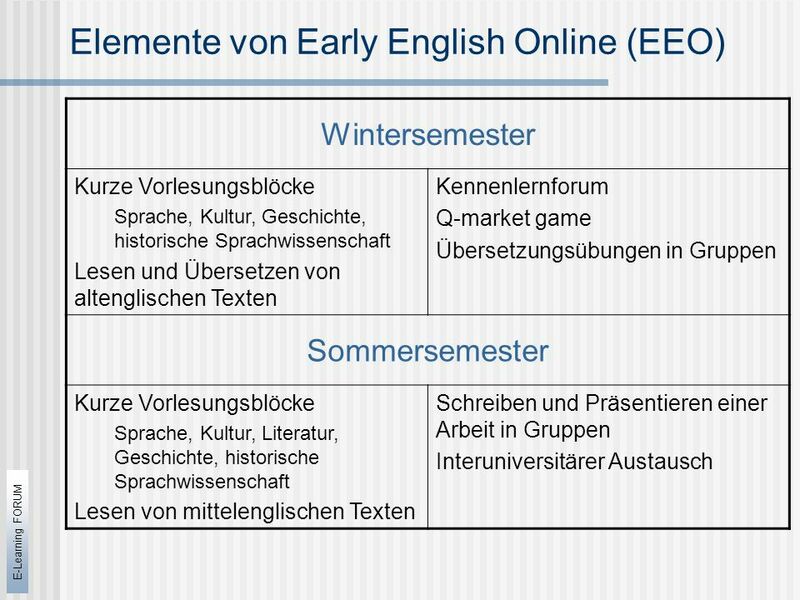 In modern English they sound almost the same, both translations are found in the glossary under the same keyword => læs. 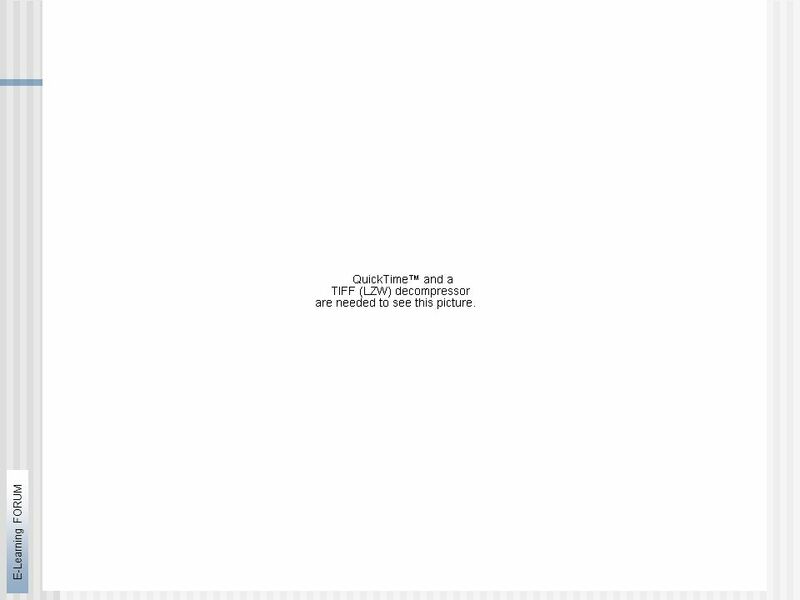 I had the form lest in my translation of 'The Fall of Man', line 7. 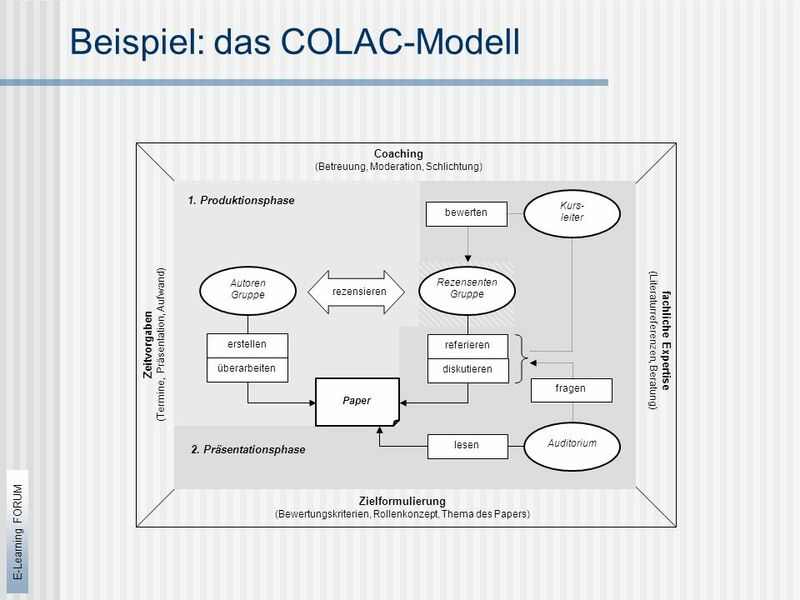 Prof. Jucker once mentioned in his lecture the Anglo- Saxon Architecture. 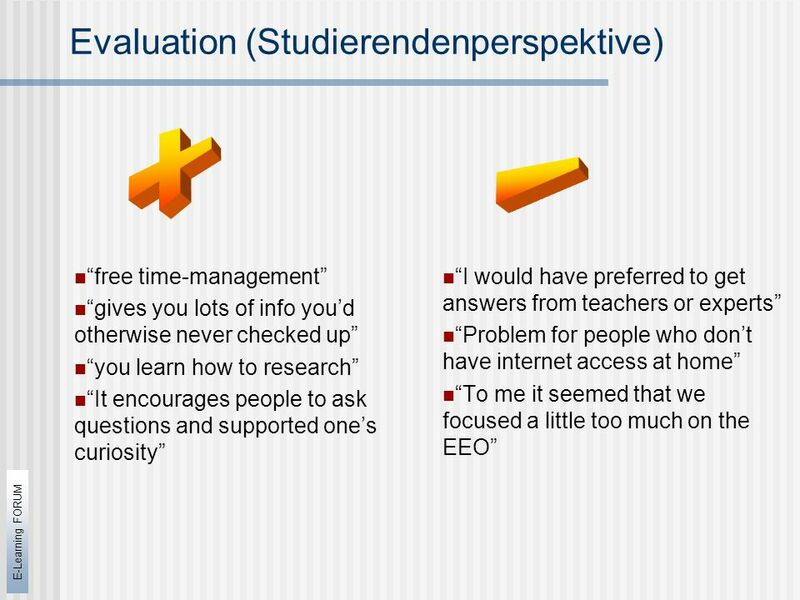 Because I'm interested in that subject, I was wondering whether one of my fellow students could give me more information about that? 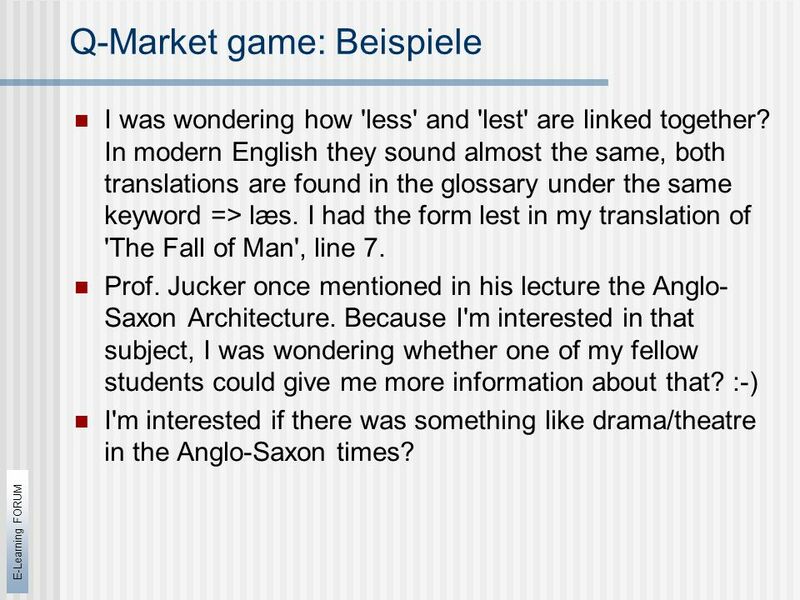 :-) I'm interested if there was something like drama/theatre in the Anglo-Saxon times? 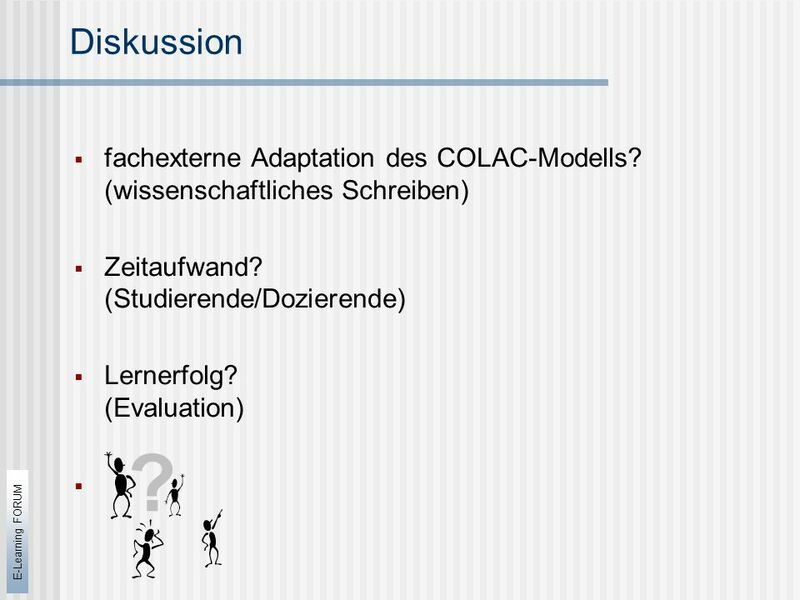 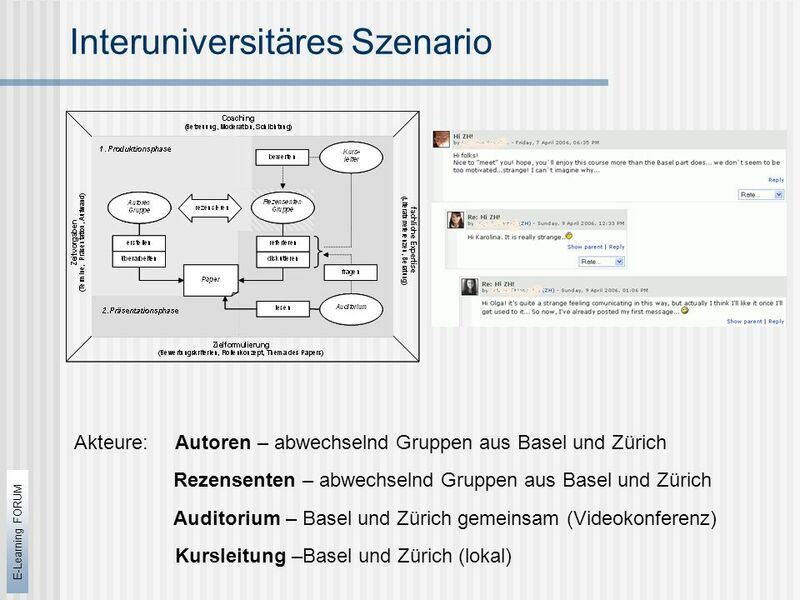 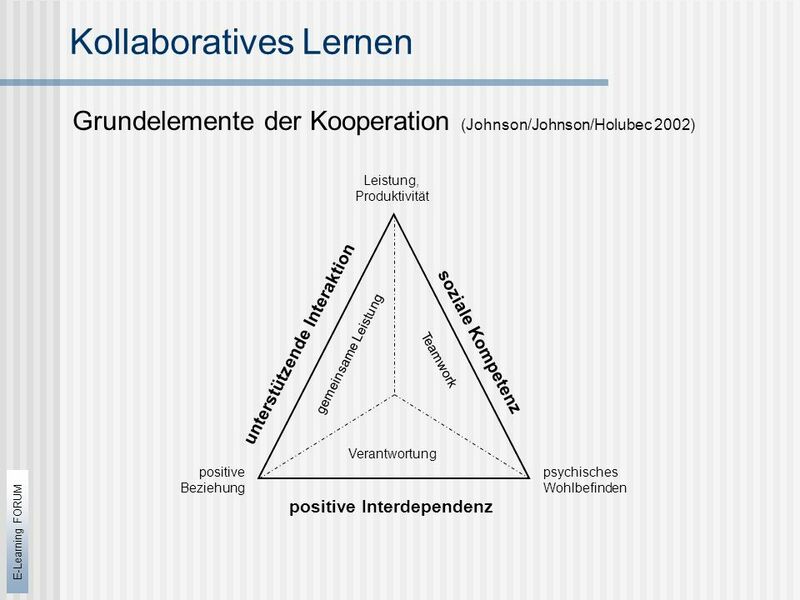 14 E-Learning FORUM Diskussion  fachexterne Adaptation des COLAC-Modells? 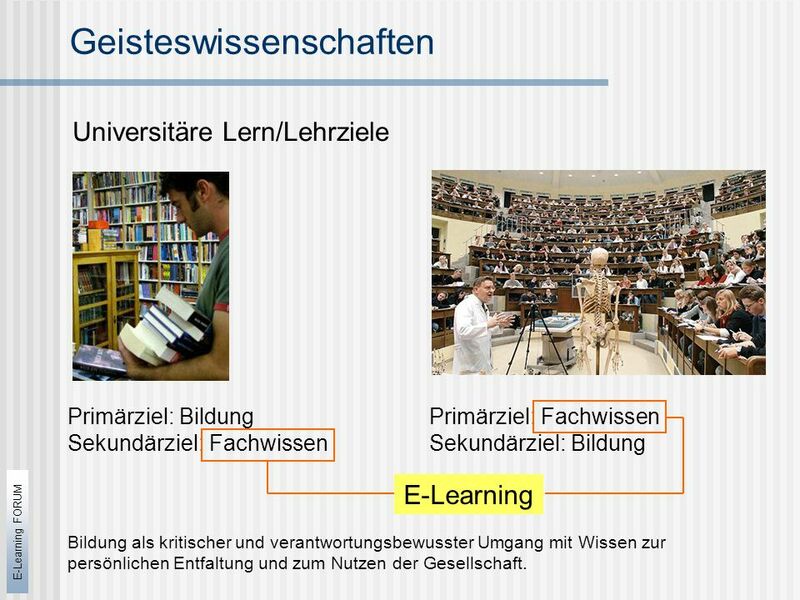 (wissenschaftliches Schreiben)  Zeitaufwand? 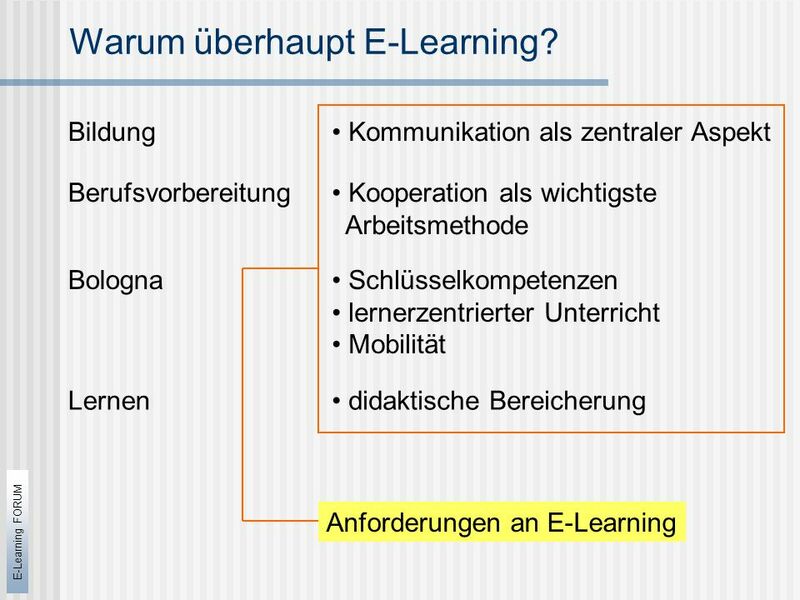 (Studierende/Dozierende)  Lernerfolg? 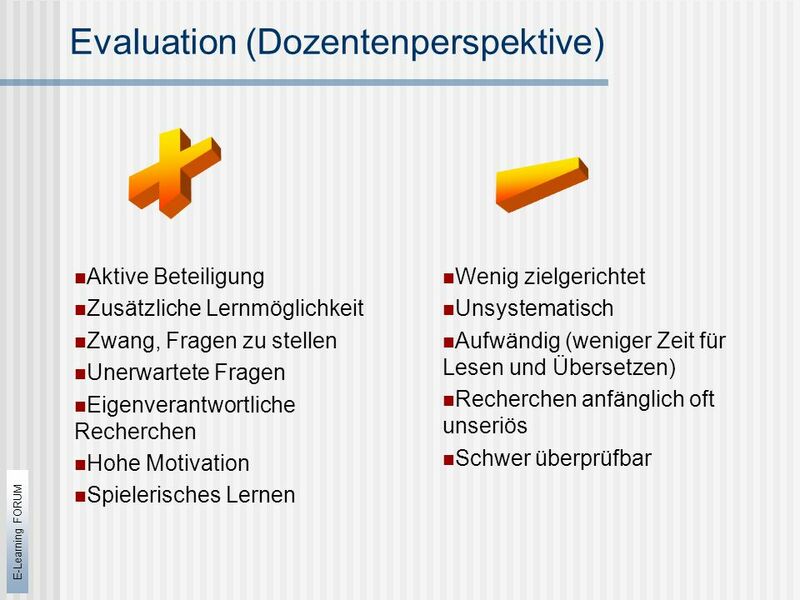 (Evaluation)  ? 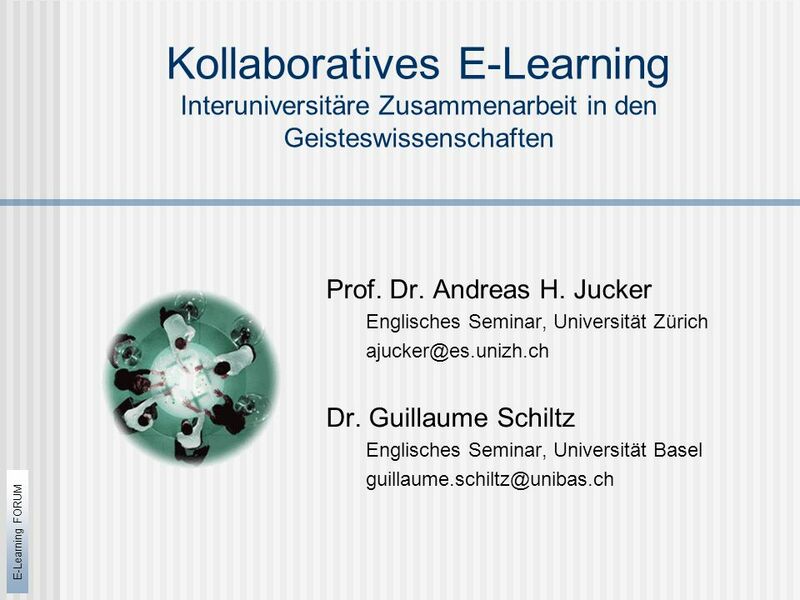 Herunterladen ppt "E-Learning FORUM Kollaboratives E-Learning Interuniversitäre Zusammenarbeit in den Geisteswissenschaften Prof. Dr. Andreas H. Jucker Englisches Seminar,"